Step 1. Type in *3001#12345#* on your iPhone’s keypad and press call. Step 2. 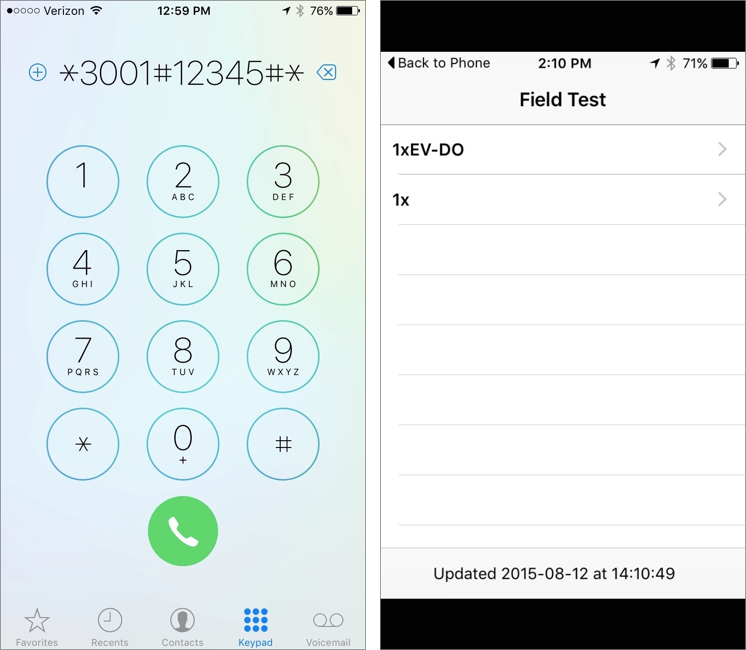 You have now entered field test mode, just tap on the signal indicator on the top left of the screen and you will be able to toggle between signal bars and decibel numbers. Step 3. Hold down the power button until you see the “slide to power off bar”, however do not power off your device. Step 4. Keep pressing the home button until the screen closes and return to your homescreen.